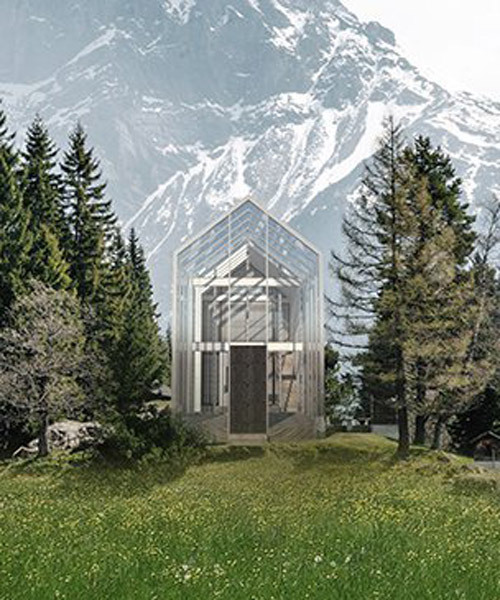 paris-based architecture studio, archijoo, present their design entry for the arte sella competition to construct an atelier, restaurant, museum and auditorium located in borgo valsugana, italy. 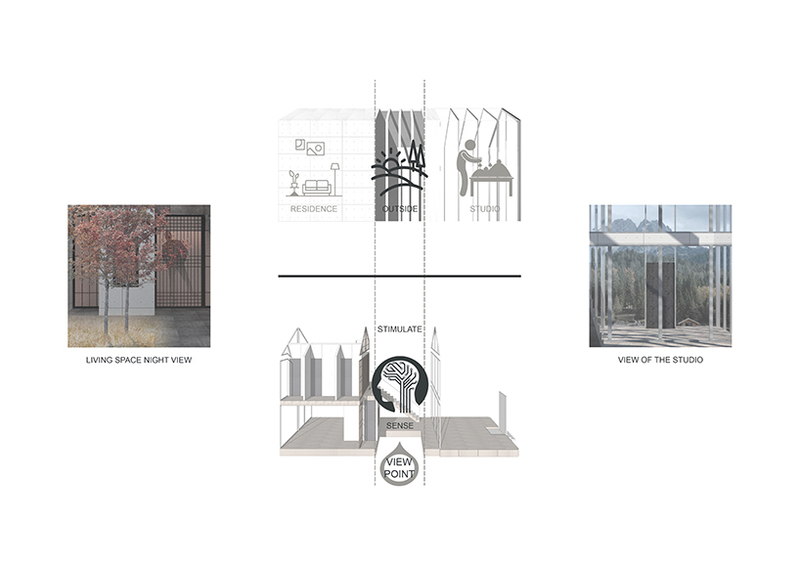 the competition aims to regenerate the area, as in 2018 it was hit by a storm which left a devastating trail of mud, felled trees and uprooted stumps. 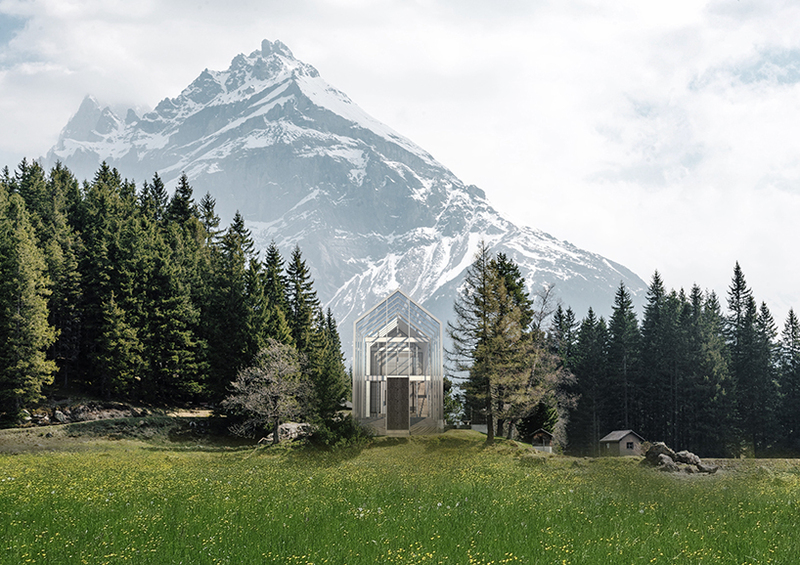 by forming a series of new architectural works, the proposal intends to brings visitors and artists back to this scenic mountain region. 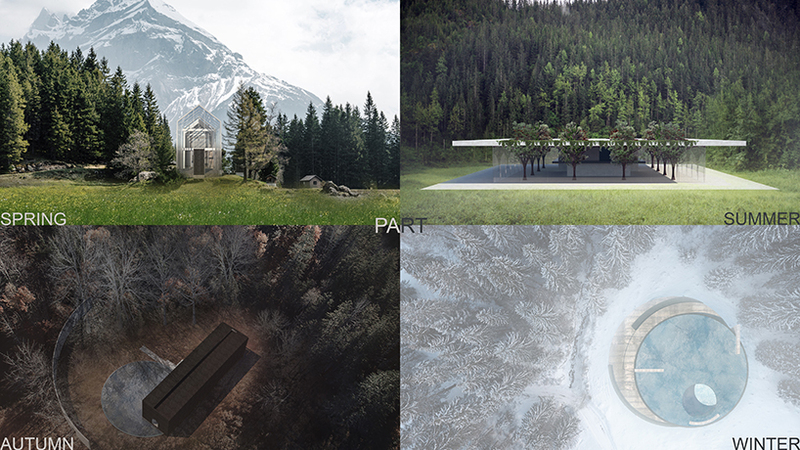 entitled ‘part’, the project envisioned by archijoo aims to embrace the characteristics of the natural environment through the design of four different buildings. 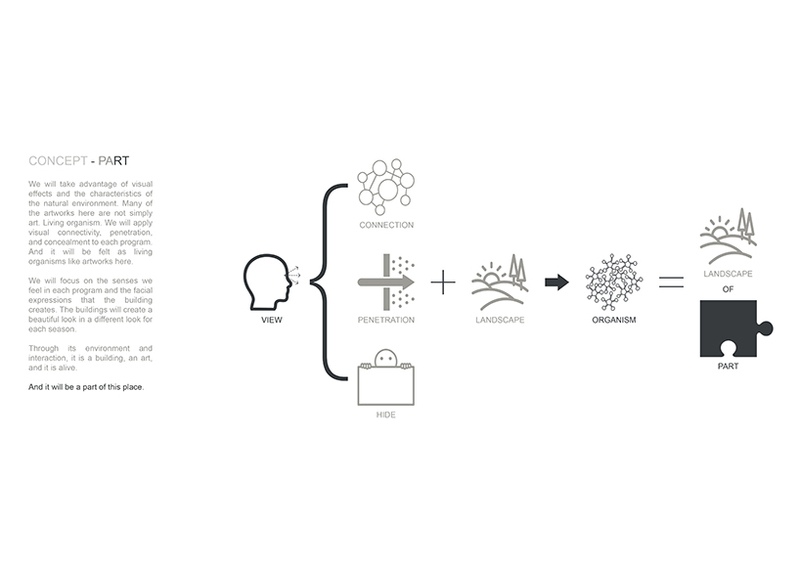 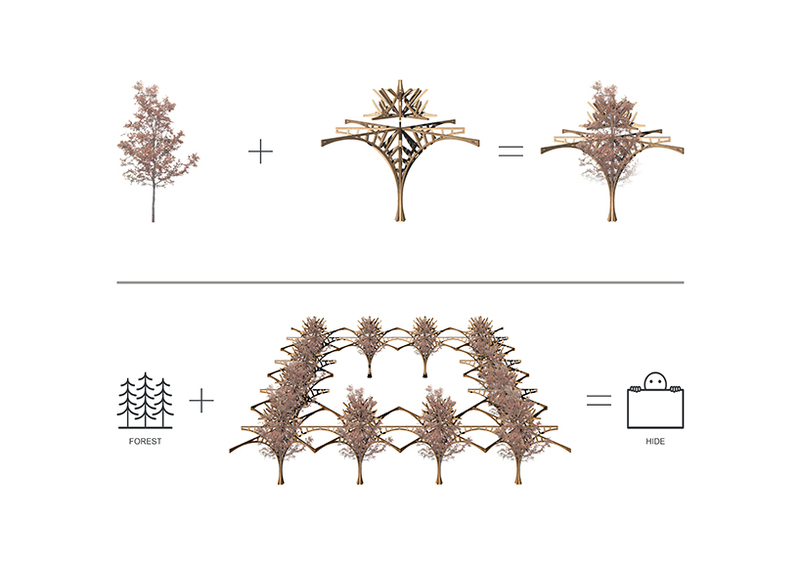 the main concept behind the entire proposal is to create not just a building, but a ‘living organism’, enabling the new architectural interventions to seamlessly integrate with the landscape. 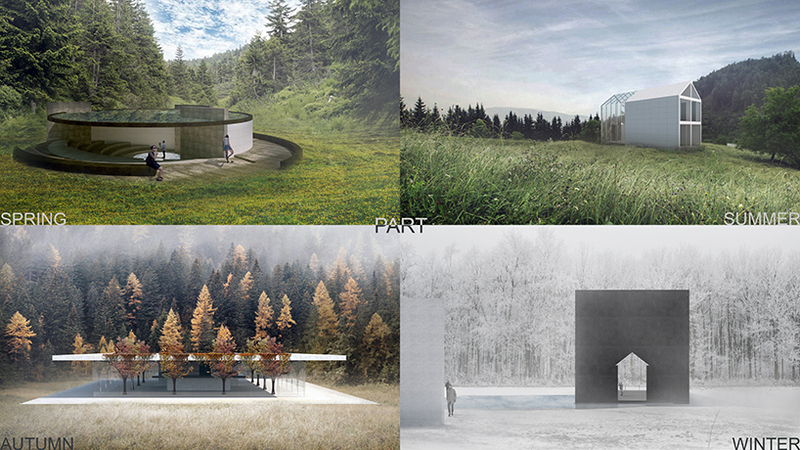 in addition, through this interaction with the environment, each building is imagined to form a different look for each of the four seasons. 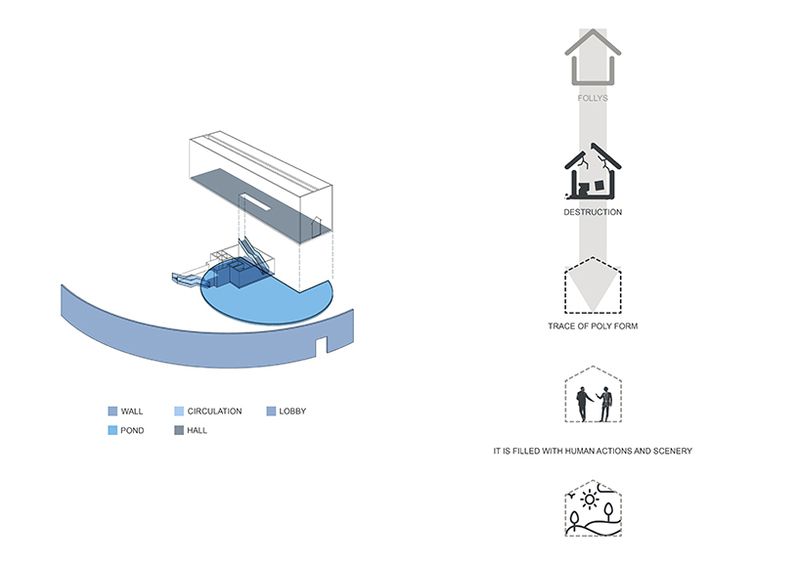 the museum structure uses the footprint of existing follies which were previously on the site before the devastating storm reduced them to ruins. 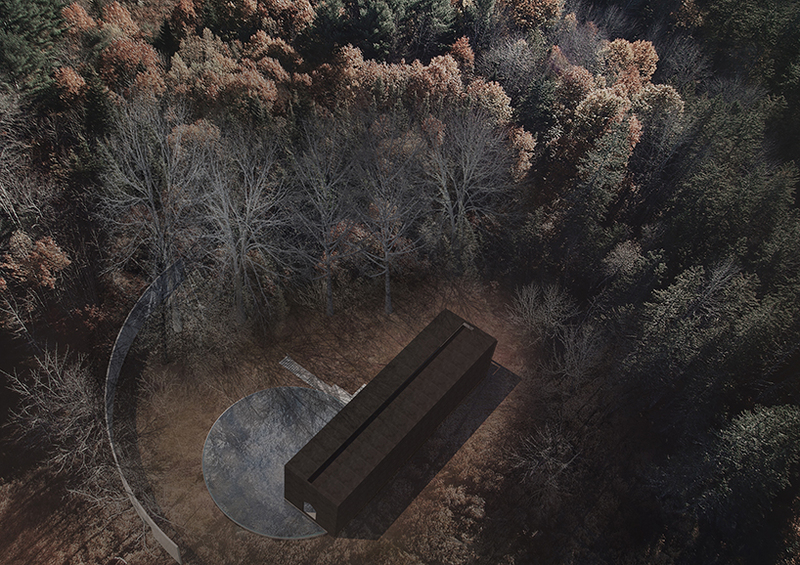 starting from this point, the new intervention traces over the former architecture to create a solid museum block. 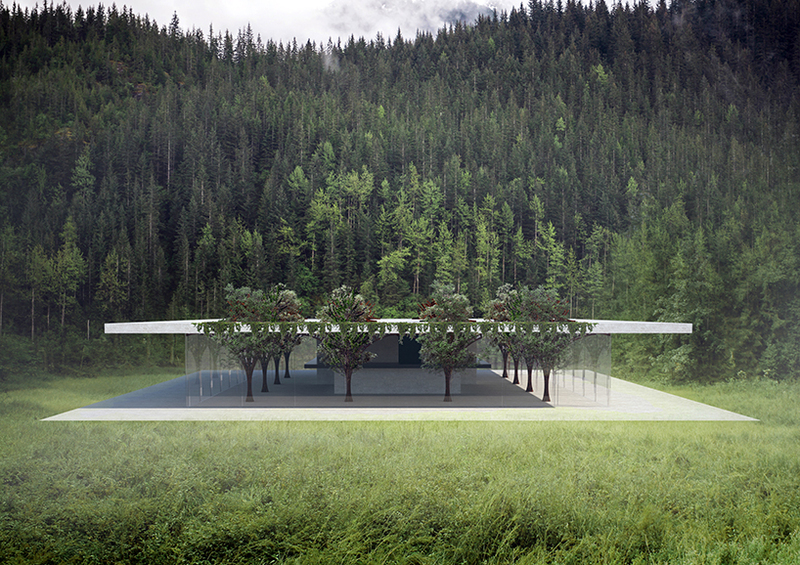 this form is designed to blend in with the landscape as the season changes. 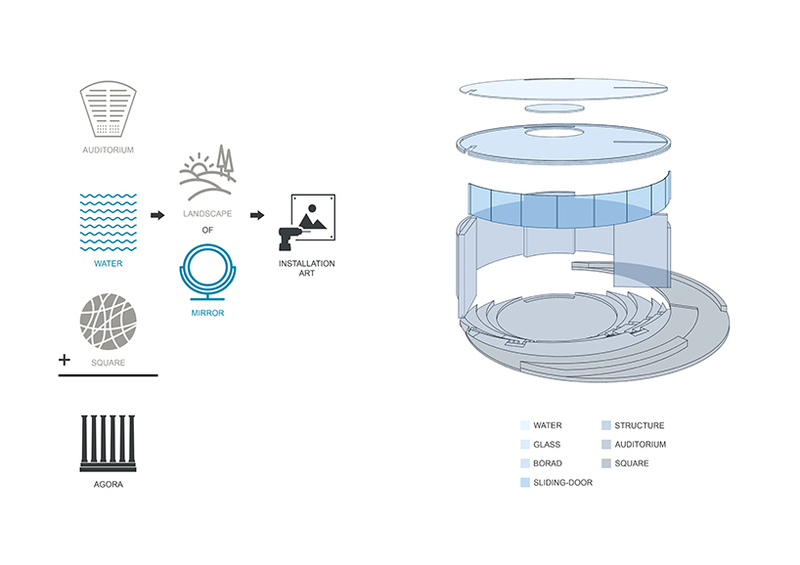 finally, the auditorium space combines the idea of a traditional agora with the element of water. 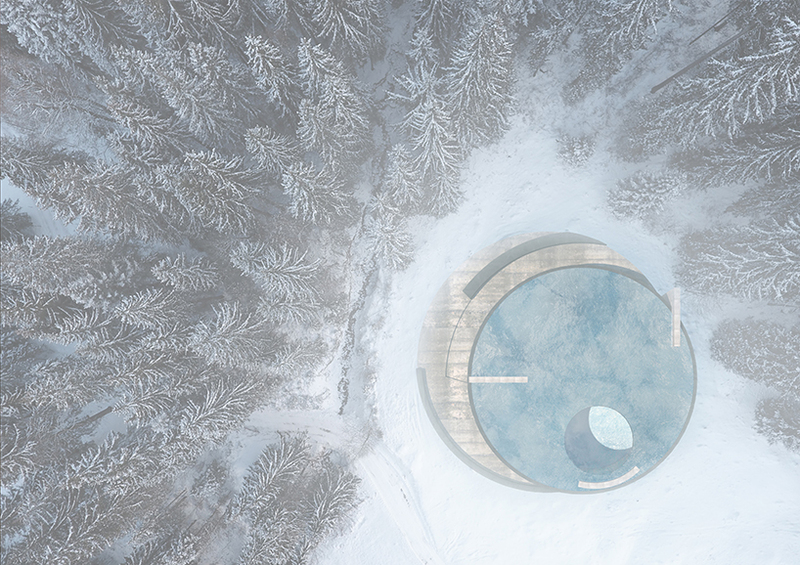 the circular roof will consist of a plate of water, acting as a mirror of the landscape.